NADA consultant Glenn Mercer: "If mobility services converge with autonomous vehicles, such as what Uber is testing in Pittsburgh today, and, in so doing, succeeds at breaking the age-old bond of ownership between Americans and their cars and trucks, that would change things dramatically." Frequent NADA consultant Glenn Mercer has a fairly optimistic view of the next eight years for dealers. "On a scale of zero to 10, if zero is Armageddon and 10 is nothing changes and everything's fine, I'm probably more at the seven range, and pessimists are probably more at the three to four range," Mercer said. "The system stays mostly intact." NADA hired Mercer last March to study the future of auto retailing and predict the state of dealerships in 2025. The exercise is an effort to stimulate long-term thinking and planning among dealers, said Mercer, a former McKinsey & Co. partner who previously studied automaker facility programs for NADA. He presented key findings of his study in November at a conference before the Los Angeles Auto Show. Mercer largely concludes that dealerships will evolve but will remain the predominant way to sell vehicles. Still, the single biggest risk to franchised dealerships in the next eight years is a potential change in vehicle ownership patterns as self-driving vehicles and mobility services converge, he said. "Our own estimate is that this is relatively unlikely to happen, but, if it did happen, it would be cataclysmic and has to be flagged," Mercer said. "If mobility services converge with autonomous vehicles, such as what Uber is testing in Pittsburgh today, and, in so doing, succeeds at breaking the age-old bond of ownership between Americans and their cars and trucks, that would change things dramatically." As part of his research, Mercer studied the impact of electric vehicles, autonomous cars and mobility services. He concluded that EV sales will remain less than 5 percent of the market by 2025. Still, it is crucial for dealers to embrace the EV market, he said. Mercer also estimated that by 2025, all vehicles will have high levels of assisted-driving features, though perhaps just 10 percent will be capable of full-fledged autonomous driving. Self-driving vehicles pose some risk to dealerships if consumers turn away from buying cars in favor of car-sharing fleets. On the other hand, Mercer said, autonomous vehicles could end up helping sales if they are purchased for elderly people who can no longer drive but need to go to doctor appointments and the grocery store or for children who need to get to school and extracurricular activities. That possibility resonated with Dave Conant, CEO of Conant Auto Retail Group in Southern California, a dealer who spoke on a panel discussing Mercer's report. "Kids in my neighborhood have their own phones by the time they're 5," said Conant of Newport Beach, Calif. "Why not buy them a car?" Overall, the typical U.S. car dealership will see evolution, but not revolution, over the next eight years. "We see change coming to the dealership but not a disruptive overthrow of the business model," Mercer said. The dealership model will remain dominant, with direct-sales efforts focused on high-end vehicles and representing a small fraction of U.S. vehicle sales. But dealerships will become more alike, with dealers adopting prescribed features of factory stores. The number of U.S. dealerships will shrink to around 16,500 in 2025, down from almost 18,000 today. Steady but slow consolidation of store ownership will continue. Mercer forecast a pool of 6,500 owners by 2025, down from 8,000 today. Private ownership will continue to dominate. U.S. light-vehicle sales will be in the range of 17 million to 18 million vehicles, similar to today's level. But the mix will shift to more-expensive vehicles and higher-income customers, Mercer said. Vehicle profit margins will be lower, but asset returns such as return on equity may be more stable. The gap between strong and weak stores will widen, Mercer predicted. Suburban dealerships are at a greater risk than small rural stores. Purely online sales will become common but not dominant. Satellite service outlets run by dealers will multiply. When Mercer looks beyond the 2025 time frame, his optimism wanes somewhat. "The next 10 years after 2025 are probably more problematic," Mercer said. "If new-car margins are essentially evaporated by 2025, I don't see them coming back. Used cars get even more and more competitive. Car quality increases even further, making service and repair more problematic." New powertrains and ownership models also are more likely to take a toll in that time frame. EVs are expected to be more widespread by 2025, and they may require less repair and maintenance, further pressuring service department income, Mercer said. 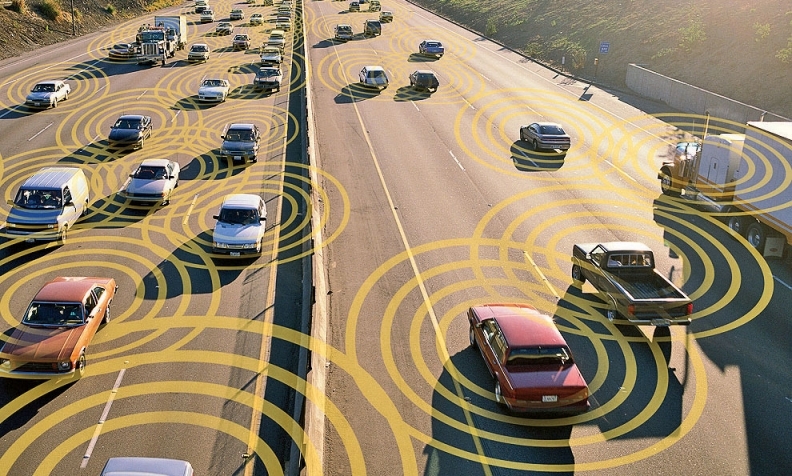 The convergence of self-driving vehicles and mobility services may be a reality by then. "We're not sure that robo-taxi enabled mobility services become big in the next 10 years. But give them another 10 years -- are they likely to succeed?" Mercer asked. And new entrants in auto retailing could be more of a factor in 2025 and beyond. "Frankly, while we haven't seen a new entrant come in and really succeed on a mass basis anywhere in the world and upend the model, am I confident enough to say that, given 20 years, somebody couldn't do it?" Mercer said. "I know Amazon has now made the move into car recommendations and lead generation and parts sales. At some point in time, do they say, "We'll take this one on?'" But while challenges for dealerships likely get tougher beyond 2025, Mercer said he doesn't see a cliff dealers are about to drive over. And dealers are good at making adjustments. "Dealers have a history of adapting rapidly to change," Mercer said. "If something comes along that looks like a challenge, they're pretty good at absorbing it and mutating it."